The issues are not which project or ideological dream is good. Every candidate has their pet projects. The real key issue is corporate governance. Who will hold them (the administration) to account? In this difficult economic time we believe there are only two candidate groups worthy of support – McMullin Wilson Melbourne’s future or Nick Columb’s Passion for Melbourne. Peter McMullin has put together a by-partisan independent team of professionals. Nick Columb has hit the nail on the head with his passionate concern to put an end to the City Council’s extravagance and waste. We need a professional and effective Council who will put an end to the high spending feather bedding empire building. The administration must be held in check and held to account. Voting closes 6PM Friday November 28. Nick Columb: In the race for lord mayor. LORD mayoral aspirant Nick Columb might choke on the comparison, as he’s no fan of the incumbent, but there’s more than a touch of the John So’s about his own history. Both are the sons of wealthy businessmen whose fortunes were lost to the march of communism — in So’s case, it was the 1949 Chinese Revolution, while Columb’s inheritance vanished when the Russians arrived in Romania at the end of World War II. So’s family were insulated by some investments that underwrote a new life in Hong Kong. The Columb family also fled to a new country, using the last of their money and connections first to buy his father’s way out of a Bucharest jail in 1946 — “one key at a time” — and then to furnish a railway car with a secret compartment in which father, mother and infant Nick hid for the ride across the border to Austria, later travelling to France and, eventually, Australia. John So and Nick Columb both ultimately capitalised on capitalism, accumulating new fortunes with the single-mindedness of so many migrant sons. But while So, who arrived in Australia as a 17-year-old student, never did get a handle on the language, Columb, who landed at Station Pier as a four-year-old speaking “Romanian, German with an Austrian accent, and French”, lost no time acquiring a firm grasp of the Australian vernacular. “Get f—ed,” he was famously quoted as telling a turf writer who second-guessed his horse Imposera’s narrow 1988 Caulfield Cup win as he bolted to the mounting yard to collect the trophy. Finally, John So was also considered a rank outsider for the job of Lord Mayor when he first won it in 2001. Now the migrant melting pot of Melbourne has thrown up Columb as one of the 11 starters in the race to replace So in the job. “I think I’m a rough chance,” says Columb over coffee at Southbank, a stroll from the city apartment that’s been the nexus of his move into city politics. In truth, he’s more fancied than that and in terms he can appreciate. According to Sportingbet he’s gone from 11-to-1 odds to now be ranked in third place behind the favourites — Labor-backed Geelong councillor Peter McMullin and former Liberal Party leader Robert Doyle. And no, says the long-time punter, he did not put money on himself, though he does admit to putting about $25,000 into his campaign. So who is this dark horse? Columb, 62, is no household name, though he’s a player in sporting and business circles. Most of his adult life has been preoccupied with making money, losing it, and making it again. And with horses. 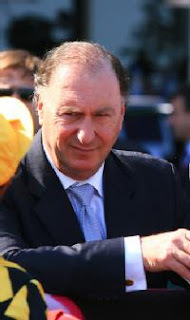 He spent almost 20 years as chairman of the Thoroughbred Owners’ Association. The only position he has held that might approximate to public office was as president of the Footscray Football Club. But as the man who signed the failed merger with Fitzroy in 1989, for many supporters his era was less than glorious. It spun into a deal to manage and sell space on the prize wheel for Channel Nine that endured from the days of Graham Kennedy right though to Don Lane, and then to music expos that brought the youth market into the Exhibition Building in droves. He’s also concerned about what he sees as the erosion of the power and relevancy of Town Hall, and the party political plays that occur there. Which is why he says he’s putting his hand up for the job, as an independent. His ticket essentially gave his preferences to Labor’s Peter McMullin, and he was expecting a similar arrangement in return, which didn’t happen. McMullin apologised. “That’s like stabbing someone in the back and when you notice he’s still alive, offering to pay his hospital bills,” Columb said. While he continues to deplore the party games, there’s more than a touch of relish in his engagement in the city street fighting. Less then 100 people attended the Carlton “All Nations Church” most of tyhose in attendance were directly connected with various campaigns. It was difficult to know who, if any, where truely undecided in who they will vote for. Most punters will decide who they will support based on political alliances and or the statements published in the information instruction booklet that has been set out with ballot papers. Reports in the Herald-Sun have indicated that there is a delay in the dispatch and delivery of ballot papers with many voters reporting that they had yet to receive their ballot papers for the City Council election. Somay voters have not been engaged in the campaign. Ballot papers must be received by the Victorian Electoral Commission before 4:PM on Friday November 28. The meeting in Carlton, whilst not that well attended, was never the less informative. If anything it provided an opportunity to meet face to face the candidates for office. The focus of the meeting was generally on the position of Lord mayor with little to no attention given to the Council representatives who are seen as secondary support acts not not the main game. One of the greatest problems with the current City of Melbourne electoral model is that candidates that nominate for the “leadership team” of Lord mayor and Deputy Lord mayor are in a win or lose election. If they win they are handed the keys to the Limousine and have the right to wear the gold chains and robes of office if they lose they have no opportunity to directly contribute to the cities governance. The choice of who is elected Lord Mayor is not based on ability, questions of good governance or even policies of the various candidates. Most punters will decide who to support based on public perception and popularity not policies. Many of the Lord mayoral candidates no not have well thought out or detailed policies of governance. Will Fowles “A fresh approach” is still to publish his policies on his web site. Incumbent hopeful Catherine Ng had difficulty after seven years at the helm, in justifying her position. She put forward a range of pet projects and which included a planned Town Hall campaign of opposition to the Labor State Government in 2010. Who whe was proposing to support was not clear. If you listened and believe what Catherine Ng had to say all the faults and problems facing the City where problems of State administration and that her failure to deliver on governance issues and representation did not come into consideration. Catherine Ng, once again, was in denial about her refusal to subject the City Council to open public review of its representational model. Catherine, along with other candidates, paid lip service and supported a public review of the system sometime in the next term of office, but she failed to explain why on three previous occasions she rejected outright proposals for a public review to take place prior to current election. Clearly there is an overwhelming need to review Melbourne representational model. Having to endure another four years of poor representation before a review is implements does not instill confidence in the existing incumbent councillors. Of the nights performances two candidates’ political forces stood out as being the only candidates worthy of support. The star performers would have to have been Nick Columb and Peter McMullin’s future team. The rest just fell by the wayside. Both Nick Columb and Peter McMullin team presented two different and diametrically opposed approaches to governance. Compliance and perpetuation of much the same with added professionalism. Peter McMullin has put together an experienced and diversified team capable of working closely with State Government to deliver certain outcomes for the City’s future, although they did not come across at the meeting as a dynamic team they are never the less a team worthy of consideration an their campaign is extensive and costly. If you believe that Local government can best meet the needs of ratepayers, residents and business by working closely with the State Government then McMullin is your best choice. If you believe that the role of Local government is to act independent and in an adversarial role then Nick Columb is a candidate that deserves consideration. Nick has provided a fresh, articlulate and passionate campaign even if he is short on campaign funds. He has pulled no punches and calls a spade a spade following the long held tradition of Australian parish politics of old. He was not proposing a people’s uprising nor was he proposing compliant subordination to Spring Street or pandering to the wishes of the governing tenants of town hall. If elected Nick Columb would provide an interesting four years to come, his style of leadership would be colorful and as vibrant as Melbourne’s Spring Carnival. His forthright criticism of the waste and exuberance in town hall and his manner of doing business gave a clear indication that he was more then capable of advocating a change in direction for the City of Melbourne. The award for dud candidate for the night would go to Robert Doyle’s “Activivate” team. Robert Doyle continues to demonstrate his lack of commitment to Melbourne. Doyle did not turn up to either the Carlton or Kensington meetings, instead he left the campaign to be run by his Deputy Lord mayoral candidate Susan Riley. Susan Riley, who was John So’s first Deputy Lord mayor back in 2001-2004 (before John So dumped her for Gary Singer) was one of the worst Deputy Lord mayors in Melbourne’s history. Her groups policies of reopening Swanston street and building the Edditington tunnel are at complete odds with the direction Melbourne has been heading. Doyle’s “billboard campaign” relys solely on the recognition factor, Doyle is the most well known of all candidates. The fact that he is considered favourite to win highlights one of the greatest problems of the direct election system. It is about recognition not polcies or ability. A tell tale saign of dislike for fpoyule’s nomination is the fact that all candidates in this election have placed Doyle last or low on their HTV cards. Nick Columb summed up more or less the prevailing opinon “Robert Doyle is the sort of person you do not want as Lord mayor”. His lack of commitment to this election demonstrates why he failed as opposition leader in 2002 and why, as Nick Columb puts it, “failed politicians should not be allowed to be elected to Town Hall”. Colorful Nick Columb calls a spade a spade and a Doyle a dude. He correctly highlights the shortcomings of Doyle’s campaign and his suggestion that Doyle is supported by Radio joke Neil Mitchell. Doyle does not deserve the job of Melbourne Lord Mayor. Why didn’t you honour your deal with Robert Doyle and why are you running him down when he’s such a strong candidate? Are you jealous of his public support? 12:36 Hi Robin. Robert Doyle could not handle the fact that he was unable to obtain the preference deal he was seeking, and reacted inappropriately. He was informed more than 30 hours before preferences closed that he would not be getting our second preference, and then threatened to destroy our campaign on the Neil Mitchell show. By the way, he claims Mitchell is endorsing him which Mitchell publicly denies. I don’t think people will forget that Robert Doyle led the Liberal Party in this state to what is historically its worst election result, in 2002. [Nick Columb] Robert Doyle is on about nothing in particular, he wanted to get a preference deal which was to put him number two on my ticket. We decided not to put him number two on the ticket and my campaign manager spoke to him a day and a half before that, He ranted and raved and carried on like a spoilt brat and threatened that he would come on your [Neil Mitchell’s] program and destroy my campaign and he was good to his promise, because he came on and attempted to do it. I hope the people of Victoria can see through him this time like they did in 2002. because it is not on that he should do that. I was very angry. It is no good for a candidate to personally attack another candidate without it being true. It’s untrue. He just did not get his way, his petulant, he was abusive, he was threatening. He came on he claims that you [Neil Mitchell] are behind his campaign and he is using you to forward his message. In fact your the only message that he is distributing. [Reference to Herald Sun article] he is arrogant enough to not to bother talking to the electorate. He does not send out his policies, he does not talk to anybody. He is just going to put a big billboard up with his face on it. [Neil Mitchell Comment] I am not part of his campaign. [Nick Columb] He claims that you are and he claims that the Herald is and the Herald says they are not too. So he is wondering around and making claims attacking people like me. Hopefully people understand that he [Robert Doyle] is not the sort of person that ought to be in the town hall. In fact he is a great example why failed recycled politicians shouldn’t be allowed to get into the Town Hall. In fact independents is what the town hall needs, not party political people. 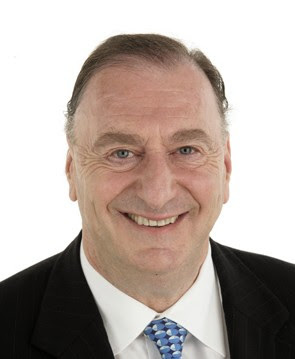 Extract of the presentation speach by Lord Mayor candidate Nick Columb at the Precinct Dinner – Meet the Lord Mayor Candidates night – Source provided by Nicks Campaign team. Melbourne encompasses many different neighbourhoods, issues, interests and priorities – and your attendance tonight is testimony to that. So how are we doing? Well, for starters . . .
Rates have gone up, and services that you want have diminished, slowed down or disappeared. Is Melbourne a better, safer place than it was four years ago? As someone who lives and breathes Melbourne 24/7, I say NO, and that is because the voices of the local neighbourhoods have been ignored for the nonsensical and utopian dreams of Town Hall bureaucrats and a compliant Council. John So, elected so overwhelmingly four years ago, with his deputy and three councillors, has presided over an administration of waste and wasted opportunity. They all stand condemned. Instead of dealing with the many issues facing Melbourne and its ratepayers and residents, the Lord Mayor has curried favour with a state government that would rather sack the Council again than have someone stand up to it – would rather keep its hands in the city’s pockets than grant it the authority to pursue its destiny. Melbourne needs a leader, not a cheerleader. The CBD needs police, the Docklands needs footpaths, Carlton needs better transport links, East Melbourne and Kensington need a stronger voice and more importantly, a sympathetic ear. Yet here we are, as the ballot papers go out in the mail, with every one of John So’s team seeking another go-around, scattered on the various So Council tickets, with two of his team running for Lord Mayor. After their performance these past four years, all should have run alright – RUN AWAY! •conduct a thorough roads and traffic audit of the city and act to get Melbourne moving, by tram, bus, bicycle and car. This city needs a fresh coat of paint. My team has the energy, enthusiasm and experience to do the job. We run because we are passionate about Melbourne, not because we want to revive stalled political careers. We run because we want to serve, not because we would suffer separation pains if dragged away from the petty Town Hall politics that have cheated Melbourne for years. I ask for your support. Nick Columb.